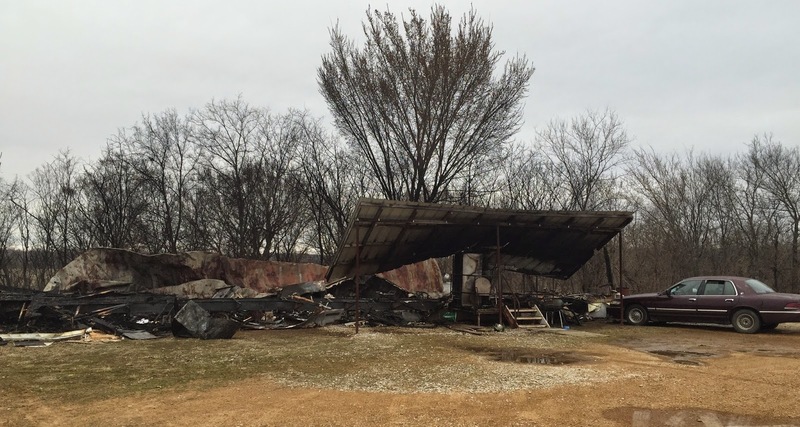 Firefighters had a trailer house fire out in about 15 minutes after arriving at the scene north of Muldrow Thursday afternoon. Liberty Fire Chief David Richards said Liberty Volunteer Firefighters were dispatched at about 5 p.m. Thursday to the home on State Highway 64 B, near the Long Run Diner, north of Muldrow. He said no injuries were reported, and the home was damaged about 40 percent by fire and smoke. The fire was started by a clothes dryer, he reported. The Liberty, Maple and Nicut Volunteer Fire Departments were dispatched to the fire, which is the usual procedure, Richards said. "Any time we have a structure fire in the east end of the county, three fire departments are dispatched," Richards explained. "It guarantees we have enough firemen and it helps with insurance." He added that firefighters were on the scene for about an hour after quickly extinguishing the fire to make sure the fire did not restart. Motorists are currently being urged to use Highway 64 if traveling from east to west rather than using Interstate 40. 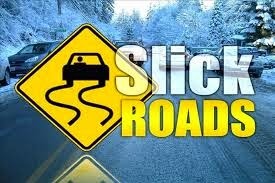 Authorities are reporting that Interstate 40 is very slick and they have already worked eleven accidents at this time. Due to the large amount of traffic on the interstate snow has become compacted making it more like traveling on ice. Stay tuned to The Mix 105.1 as we continue to bring you live road reports and weather updates. Diamonds in the rough, above Sallisaw True Value Hardware, are being polished with a grant provided by Sallisaw Main Street. The $20,000 project is expected to be completed in about two weeks, weather permitting. This is the second renovation funded by a Main Street grant, and with equity by the building owners. 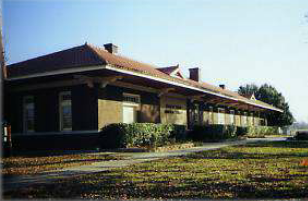 The first project was at The Shed, owned by Trish Perry, at the corner of Cherokee and Elm. Margaret Perry, Main Street president, said painting The Shed in historic colors of the time period will complete the project at The Shed. She said the buildings were built in the late 1880s or early 1900s, and plans are to paint the store fronts in colors as close as possible to the original. The diamond pattern that tops the hardware store front "is amazing," Perry said. "It's amazing what a little wash can do." Perry noted that it is expected the new awnings and metal work on the store fronts will encourage pigeons who live downtown to move on. The windows that run across the top of the hardware store will also be repaired, Perry said. The hardware store is owned by Carl Moss and Barry Teague, and Main Street is working with other downtown building owners to renovate their store fronts too. Brian Bates of Roland is the contractor on the hardware store front. Dave Nelson assisted with the renovation of The Shed store front. Each store front will also have a black awning, at different heights to add interest Perry said. When the store fronts and awnings are complete, Main Street will install vintage lighting to complete the renovation of the downtown area. "This is going to make a huge difference in downtown," Perry said. A program to help teachers get their bachelor's degrees has been announced by Northeastern State University (NSU) in Tahlequah and Carl Albert State College (CASC) in Sallisaw and Poteau. Beginning in the fall of 2015 NSU will begin offering potential teachers wishing to complete a bachelor's degree in elementary education or special education the opportunity to complete their degrees at the campuses of CASC in either a full-time or part-time format. An information session of the program was to be held at the CASC Sallisaw campus Monday but was cancelled due to the weather. The meeting will be rescheduled at a later date. 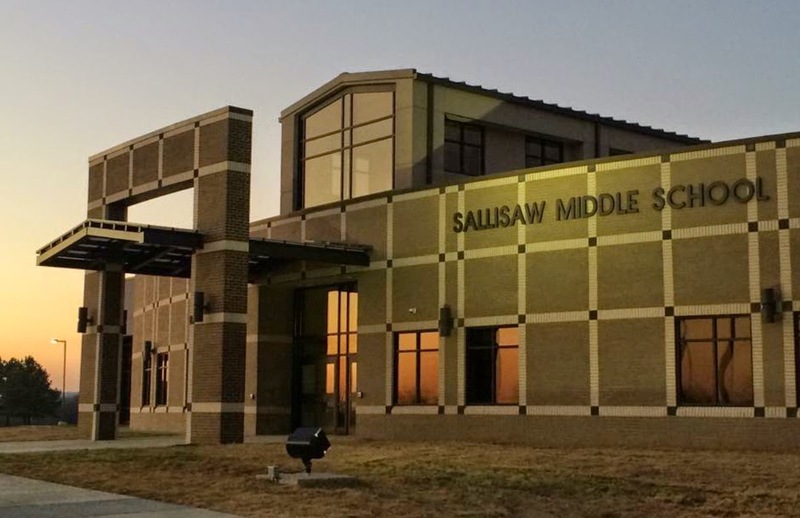 Plans for the partnership began in the summer of 2014 after NSU's Transfers & Parent Programs coordinator brought to the education department's attention that there was a strong need for teachers in the Sallisaw and Poteau areas. Although the idea was discussed several years ago, the education department now believes that the technology, through the use of Blackboard Collaborate, and the willingness of dedicated faculty members, will allow for the program to run successfully. "It is not a secret that our state and nation is currently challenged by a teacher shortage," Dr. Lisa Tritschler, NSU Curriculum and Instruction Department chair, said. 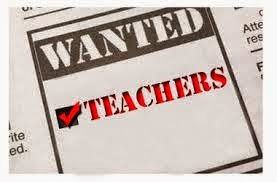 "Special Education and Elementary Education are both critical shortage areas. The request was first centralized on the Elementary Education program. However, considering our Special Education program embeds Elementary Education courses to provide more content for our teacher candidates to become highly qualified in both Special Education and Elementary Education, we knew it would be feasible to provide both programs." Individuals eligible for the degree program will have obtained an associate degree in pre-elementary from CASC, and courses will be provided through online delivery, Blackboard Collaborate, and/or blended face-to-face classes from an NSU professor traveling to a CASC campus. Students will be required to attend the on-campus intern seminars, and placement and orientation days on either the Tahlequah or the Broken Arrow campus. However, throughout the entirety of the degree, this will add up to around 14 trips to an NSU campus. Information regarding which courses to enroll in will occur at another meeting toward the latter portion of the spring semester. Dates, time, and location for that meeting will be communicated at a later time. "We realize not every student is able to commute to an NSU campus or to move to Tahlequah, Muskogee or Broken Arrow to complete their degree. This partnership with Carl Albert State College will limit the number of trips required for students, and positive responses to these offerings have been expressed by area superintendents," Suzzane Myers, Coordinator of NSU's Transfer Programs said. For more information regarding these academic programs, please call Dr. Tritschler at 918-444-3710 or email her at tritschl@nsuok.edu or Suzanne Myers 918-444-2137 or myers@nsuok.edu. 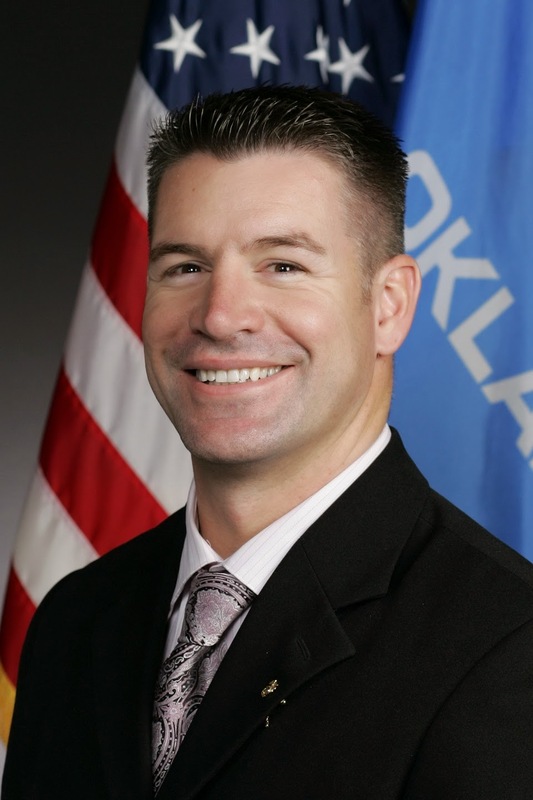 State Rep. John Bennett (R-Sallisaw) last week praised the committee passage of legislation that would reduce tax incentives given to the wind energy industry. House Bill 1554, co-authored by Bennett, was approved by a vote of 17-7 by the Oklahoma House Appropriations and Budget Committee on Wednesday. "We just aren't getting a solid return on our taxpayer investment in these credits," said Bennett. "With the current budget shortfall of $611 million, we must take a hard look at all tax credits to ensure we're getting a solid return on our investment. Oklahoma has a solid economy and brings in a lot of revenue due to the Legislature passing bills that make Oklahoma a business-friendly environment. However, we have a spending problem in the form of tax credits. I am pushing for tax credit reform and smarter use of tax payer money. This bill is a start to ensure we are good stewards of tax payer dollars." The legislation is now available for consideration on the House floor. Bennett also co-authored House Bill 2182, the Incentive Evaluation Act. The measure creates the Incentive Evaluation Committee which is tasked with developing evaluation criteria for each state incentive and a schedule for evaluating the incentives. The measure further creates the Incentive Approval Committee as a subcommittee of the Incentive Evaluation Committee. "This legislation will start a more long-term process to improve the review of our incentives," Bennett said. House Bill 2182 has not yet been heard. 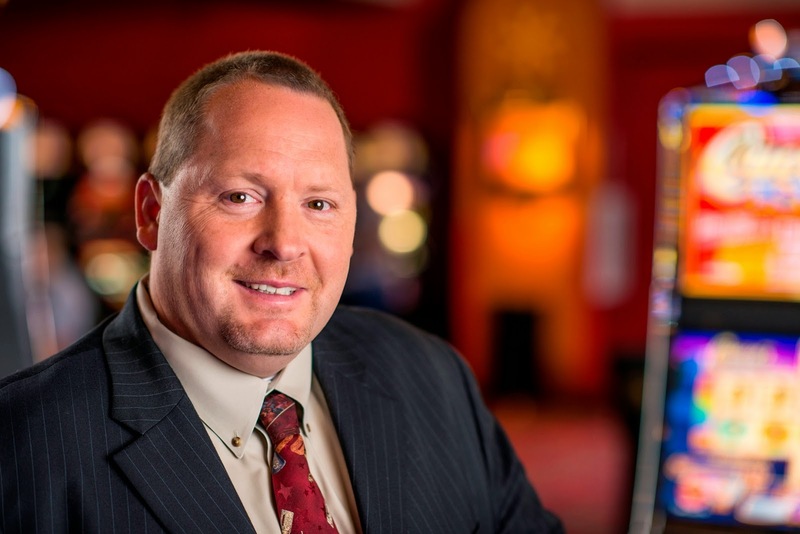 Cherokee Nation Entertainment (CNE) officials have named Chad McReynolds as the new general manager of Cherokee Casino & Hotel Roland. "I started my career with CNE as a card dealer and a way to just get my foot in the door," said McReynolds, "The gaming industry was always intriguing and seemed like a great way to make a living. During my years at CNE, not only have I loved the job, but I've also come to apprecitate the great things the Cherokee Nation is doing with its gaming profits. It gives a greater sense of purpose knowing the work we are doing improves services and creates more jobs for the Cherokee people." McReynolds, a Cherokee Nation citizen, brings more than 20 years of operational management experience, the last decade of which has been working in gaming operations. He joined Cherokee Casino Roland in 2003. During his 12 years with CNE, McReynolds worked at various locations in the casino's operations. He's worked as a card dealer, concessions attendant, cashier, materials manager, poker manager, card games manager and, most recently, as the casino operations manager. "Chad is a great example of our commitment to developing Cherokee leaders within the organization," said Mark Fulton, CNE chief operating officer. "We look forward to watching his continued growth, especially given the vast expansion this property is undergoing." In his role, McReynolds will oversee all operations at the property, which includes transitioning the entertainment destination to its new facility this summer. This summer, Cherokee Casino will open its new $80 million, 170,000-square-foot venue, featuring 850 electronic games, table games, two dining venues, convention space and a resort-style hotel. The Sallisaw native moved to California following high school, where he studied business administration at Chabot Community College in Hayward, California. During his years in California he worked as a facilities manager for a just-in-time logistics company that serviced numerous industries, but he focused on military clients in the Western region and the Pacific Rim. One day he decided to head back to his small town roots. The first place he looked for work was with the Cherokee Nation. Since his time back home, he has built a reputation for moving through the company, helping area kids participate in Future Farmers of America and raising cattle. Cherokee Casino Roland is located off U.S. Highway 64 on Cherokee Boulevard in Roland. For more information on Cherokee Casinos, visit www.cherokeecasino.com or call (800)256-2338. 6:30 to 7:30 p.m. Thursday (March 5) is seventh grade orientation. The orientations are for students and their parents, Farmer said. The students will be shown how to go from classroom to classroom, and will be introduced to the traffic flow for students in the building. Parents will be able to accompany their students and will learn how vehicle traffic will flow when picking up students at the new school. Students are to begin classes at the new school after spring break on March 23. 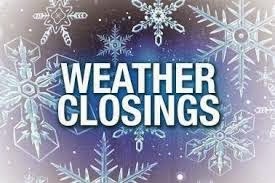 All Health & Wellness Center clinics (Sallisaw, Stifled, Poteau, Eufaula, Checotah & Wilburton) will open at 12 noon on Tuesday. The Redbird Smith Health Center in Sallisaw will open at 9 am Tuesday. The Cherokee Tribal complex and all sub-offices will open at 10 am Tuesday. 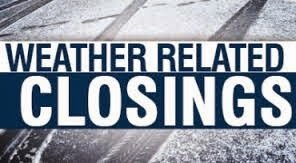 Sallisaw, Vian, Gore, Muldrow, and Roland nutrition centers will be closed. Language lessons are free at the Stanley Tubbs Memorial Library in Sallisaw and the Muldrow Public Library. They are provided by Mango, the company that provides the data base for the Eastern Oklahoma District Library System, Librarian Bethia Owens said. Sixty-four languages are offered through the libraries' Internet sites. The newest language added to the list is Cherokee. Owens said, "All you need is an email address and a password." She said to set up an account visit the library's website and scroll down to the Mango logo. The program will lead the user through the set up process. "It's really cool," Owens said. "It's a friendly program, and gives you cultural notes. It will even translate into another language for you." There is no time limit on the lessons. Users can learn at their own pace. Even if more than a few days have passed, the program will return the user to the last lesson used. Owens said, "We hope a lot of people use it. It's one of our favorites." Upcoming: Author Rilla Askew, an Oklahoma author, will speak at Stanley Tubbs Memorial Library's Book Review Luncheon at noon Feb. 25. Askew received the Oklahoma Book Award for "The Mercy Seat" and also for "Harpsong." Her novel "Fire in Beulah," about the Tulsa race riot, received the American Book Award and the Myers Book Award from the Gustavus Myers Center for the Study of Bigotry and Human Rights. Her latest novel is 'Kind of Kin." Reservations are required for the luncheon which is free. Call the library at 918-775-4481 to make a reservation. Fallen Deputy to Be Memorialized in Washington D.C.
A fallen Sequoyah County deputy has been accepted to be included in the National Law Enforcement Officer Memorial in Washington, D.C. The name of Deputy August Lee Edwards is the fourth Sequoyah County Sheriff's Deputy to be included in the memorial. Deputy Edwards and others will be remembered at a candlelight vigil to be held May 13 during National Police Week in Washington. Sequoyah County Sheriff Ron Lockhart said, "When I took over as sheriff we found four officers who were killed in the line of duty. Deputy Edwards is the final one to be accepted for the Fallen Officers National Memorial." All four are also in the state memorial to fallen officers. The others were Undersheriff Ira E. Wofford, and Deputies Perry Chuculate and Tom Hood. Wofford was killed, or his end of watch, was on Friday, Dec. 4, 1953. Chuculate's end of watch was on Friday, Aug. 27, 1926. Hood's body was found and his end of watch was on March 29, 1933. Lockhart said the Sequoyah County Commissioners have approved a county memorial to fallen officers, which Lockhart said will cost about $4,000. According to the Oklahoma Memorial, Deputy Sheriff August Lee Edwards, 32, and Gans Constable Luther Lewellen were looking on Christmas Eve 1925 for a black man named I.L. Martin, 22. Marten was reportedly seen carrying a revolver. At about 9 a.m. they located Martin and two other men in a buggy and advised Martin he was under arrest, Martin pulled his gun and shot Deputy Edwards once in the forehead, killing him instantly. Martin then escaped on foot into the brush but was arrested early the next morning, on Christmas Day, and charged with Deputy Edwards' murder. Edwards was survived by his wife, Danna, and their adopted daughter, Lois. Deputy Edwards was the great uncle of former Sallisaw Police Chief Shaloa Edwards, who said his family, including his father August, have served in law enforcement for three generations. Officer August Edwards was named for Deputy August Lee Edwards. Sequoyah County Undersheriff Ira Wofford, 49, was killed Dec. 4, 1953, in an auto crash. Wofford and Oklahoma State Crime Bureau Agent Leonard Farris were transporting a prisoner, Frank Trotter, from Denver, Colorado back to Oklahoma where he was wanted for burglarizing a Sallisaw service station. East of Byers, Colorado, their vehicle hit an icy spot, went off the road and rolled several times. Wofford and Farris were ejected and the car rolled on top of them, pinning both officers. Trotter, still handcuffed, crawled out of the wreckage and attempted to lift the car off the officers. Failing in his attempt, he covered the officers with a blanket from the car and flagged down a passing motorist and asked them to summon help. Undersheriff Wofford died from his injuries before an ambulance could arrive. Just before he died, Wofford thanked Trotter for trying to help him and asked another officer to remove Trotter's handcuffs. The body of Deputy Sheriff Tom Hood (no photo available) was found in a remote hilly region of northeastern Sequoyah County about four miles from Short on Tuesday morning, March 28, 1933. His body was found by his brother who began searching for him after he failed to return home Monday night. Deputy Hood had been shot in the face, head and left shoulder with Number 4 buckshot. Deputy Hood had left his home in Short late Monday afternoon, telling his family he was going to the "bluff" near where his body was found to look for moonshiners. A family living in the vicinity of the bluff said they heard several shots Monday night. Deputy Hood's body was near a whiskey still and cache which was within a few hundred yards of the farm home of Jim Tune. Tune and his son Jess were arrested for Deputy Hood's murder, but after two mistrials were found not guilty at a third trial. 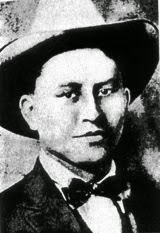 Deputy Sheriff Perry Chuculate was shot and killed on Friday, Aug. 27, 1926. On that day Deputy Chuculate was one of a group of four officers searching for a stolen car about three miles west of Sallisaw. The officers saw a car approaching them at a high rate of speed. The officers blocked the highway with their car and the speeding car stopped some distance away. Deputy Chuculate started walking toward the car with a shotgun. The men in the other car, members of the Kimes gang of bank robbers who had just robbed a bank, opened fire on the officers with rifles, hitting Chuculate in the right arm and lung. Sixty rounds were exchanged during the gunfight until the officers ran out of ammunition. The gang members then took one of the other officers, who had been wounded, and a passing farmer hostage and left in the officer's car. The hostages were released near Van Buren, Arkansas. Deputy Chuculate died in the hospital shortly before 6 p.m. that afternoon. A wife, daughter and two sons survived him. Deputy Chuculate had served with the sheriff's office for two years. The two Kimes brothers were convicted of manslaughter for Deputy Chuculate's murder and sentenced to 25 years in prison. One of the brothers, Matthew Kimes, escaped from prison and continued his crime spree. 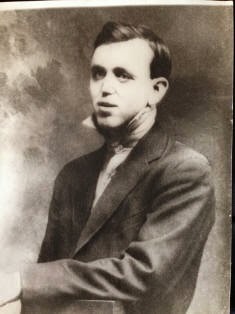 During the following year Matthew Kimes continued robbing banks with the Cotton Top Walker Gang, which was responsible for the murders of Patrolman Coke Buchanan of the Borger (Texas) Police Department on March 19, 1927, of Deputy D.P. Kenyon and Deputy Almer Terry, both of the Hutchinson County (Texas) Sheriff's Department of April 1, 1927, and of Chief W.J. McAnnally of the Beggs Police Department on May 18, 1927. 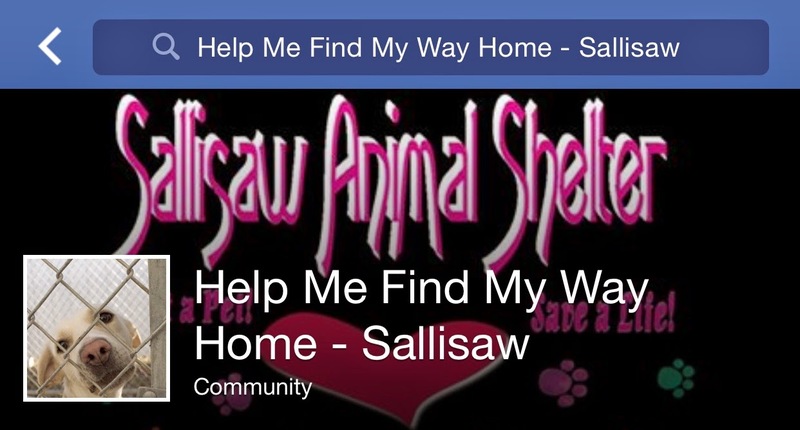 Please Help Me Find My Way Home is the new Facebook page set up by the Sallisaw Police Department and Sallisaw Animal Shelter to reunite lost animals with their owners and introduce new pets to those who want to be pet owners. 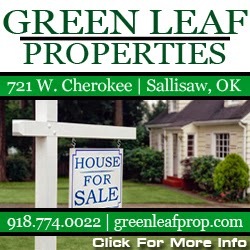 Sallisaw Police Chief Terry Franklin announced the new Facebook page Thursday. He said the page includes photos of lost dogs and dogs up for adoption. Upcoming events are also listed. The next event is the city's Spring Rabies Clinic by Dr. Gary Cox of the Sallisaw Veterinary Clinic. 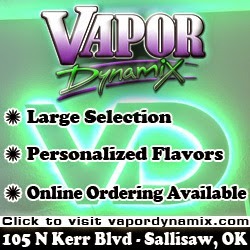 The clinic will be held from 5 to 7 p.m. April 7 at the Sallisaw Fire Department. Rabies shots willed be $8 and 7Way shots will be $17. The resident of a mobile home on South Farm Road in Sallisaw had been transported to Hillcrest Medical Center in Tulsa Thursday evening for an undisclosed medical problem, and was not at home when his mobile home was destroyed by fire Friday morning. Sallisaw Fire Chief Anthony Armstrong said the fire department received the call at 5:55 a.m. Friday. "The mobile home was fully engulfed by the time we arrived," Armstrong said Friday morning. Firefighters had the fire out in about 20 minutes, Armstrong said, and were on the scene for another hour after they were told the resident may have been home. "We peeled back the metal and searched for an hour before we were told he wasn't at home," Armstrong said. They did find a cat who had died in the fire. Armstrong said the state fire marshal was on the scene investigating the cause of the fire. "Right now we are leaning toward electrical," Armstrong said. "There were a lot of extension cords and space heaters. But at the present time the cause of the fire is undetermined." Armstong said winter weather makes fighting such fires difficult. "It was extremely cold and windy," he said. 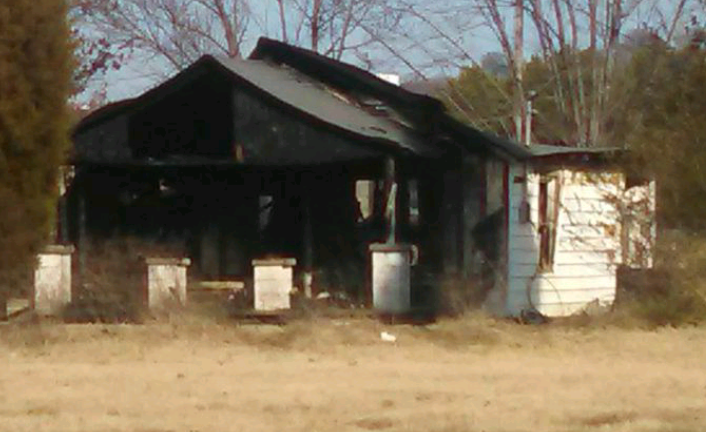 A fire of undetermined origin destroyed an empty house in Muldrow late Saturday and the fire is under investigation, Allen Faulkner, Muldrow fire chief, said. Faulkner said the fire department was dispatched to the blaze late Saturday, and was on the scene until early Sunday morning. There were no utilities to the empty house, on Northeast First Street, Faulkner said, but the blaze was hard to extinguish. He said, "It was an older home built of concrete blocks, wrapped in siding. The wind was the biggest factor. 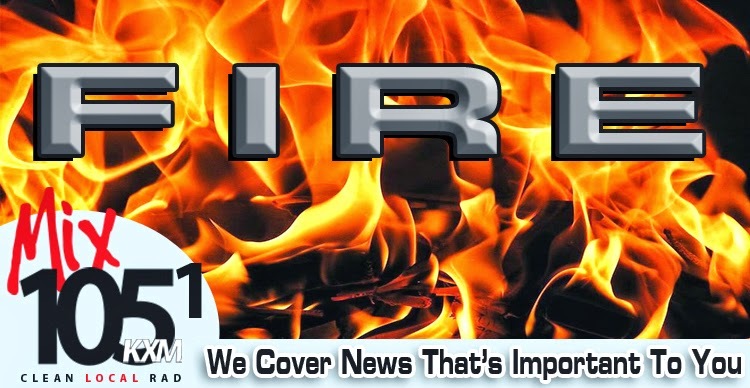 We had a grass fire and a structure fire at the same time." Faulkner said the fire did not endanger any other structures. The Muldrow Fire Department was assisted in fighting the blaze by the Roland and Maple Fire Departments. Faulkner said the loss was estimated at $30,000. State Reps. John Bennett (R-Sallisaw) and Dan Fisher (R-Yukon) said Friday in a press release that they question the motives of the Oklahoma chapter of the Center for American-Islamic Relations in planning a Muslim Day at the Capitol event on Feb. 27. Bennett said, "I would discourage all Oklahomans from associating with an organization such as CAIR at the Capitol. CAIR was an unindicted co-conspirator of the largest terrorism financing trial in U.S. History. CAIR is the organization that successfully filed in injunction to stop the anti-Sharia law passed by a super majority of Oklahomans a few years ago. CAIR was also designated a terrorist organization by the United Arab Emirates." Fisher said, "Due to recent violent murders, including children, as well as the abuse of women, I worry about how the radical Islamic agenda might infiltrate the U.S. CAIR is an organization that has been associated with radical Islam, including by the United Arab Emirates. For that reason, we suspect their true motives to be an indirect attempt to implement Sharia law in the United States." The legislators said they support the right of all Americans to assemble, but reject the message of CAIR Oklahoma and will not participate in their rally. "Any organization that has proven ties to terrorism that has cost American and Oklahoma lives should not be given any support," Bennett said. "Sharia courts have already been found in Texas. The imams in Texas have claimed these courts are tribunals, but that's just semantics. We Americans cannot and should not allow any form of Sharin law to infiltrate America. It erodes American values and democracy." Fisher said, "We citizens of the U.S. are guided by our laws defined by the U.S. Constitution. Sharia law covers public behavior, private behavior and private beliefs. Of all legal systems in the world today, Sharia law is the most intrusive and strict, especially against women. Europe is already home to many radical Islamic 'no go zones.' We must attempt to keep such things from happening in Oklahoma. *A woman cannot speak alone to a man who is not her husband or relative. A Muldrow man was hospitalized following a one-vehicle crash at 1:54 p.m. Monday north of Muldrow. 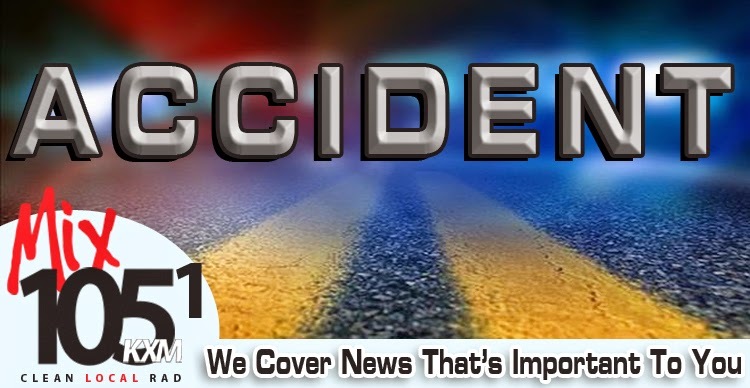 The Oklahoma Highway Patrol reported Albert Garris, 56, was driving a 1989 pickup on County Road 4720 when he left the road to the right, struck an embankment and came to a stop in a ditch. Garris was transported to Sparks Regional Medical Center in Fort Smith and admitted in stable condition with head, internal and external injuries. The OHP reported seat belts were in use.